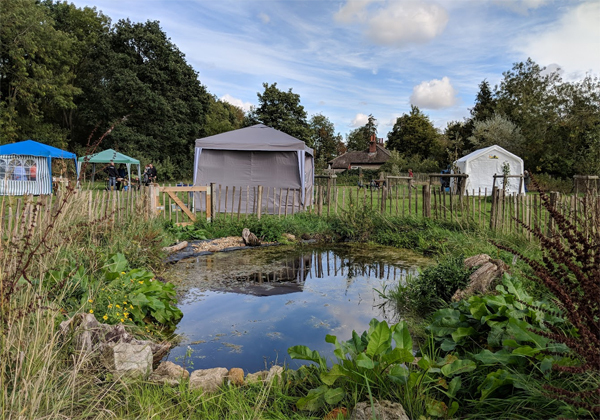 The Community Orchard Open Day, organised by the Friends of Bourne Wood, was thoroughly enjoyed by those who came, and despite the weather forecast we had a sunny time! There was live music from Dean Hardy and Friends who play regularly at the Masons, Bourne and the Hare & Hounds at Haconby. They played two sets of lively music – a mix of Irish, Folk, Country and traditional tunes. People could either sit and listen, or wander and enjoy the ambiance of the orchard – and the children managed a little dance! There were plenty of delicious cakes from the homemade cake stall, with teas and coffees to wash them down. Despite the weather forecast we had a sunny time! Children had craft activities to try, and a guess the fruit competition as well as traditional games, which adults also enjoyed, and became quite competitive. These were supplemented by a craft stall, second hand book-stall, and a plant stall. The Bourne Wood booklet was also available. 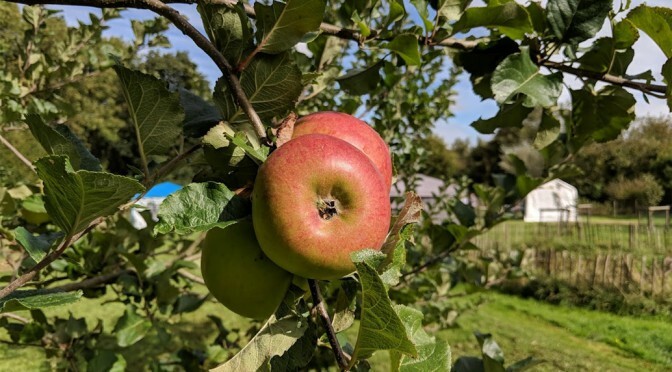 The Friends had picked some fruit from the orchard, both to show people the different types of apples and pears, but also so people could take some away with them for a small donation. There will be more punnets available for the next few weeks during opening hours in the orchard, on a Saturday and Sunday, 10am to 6pm. 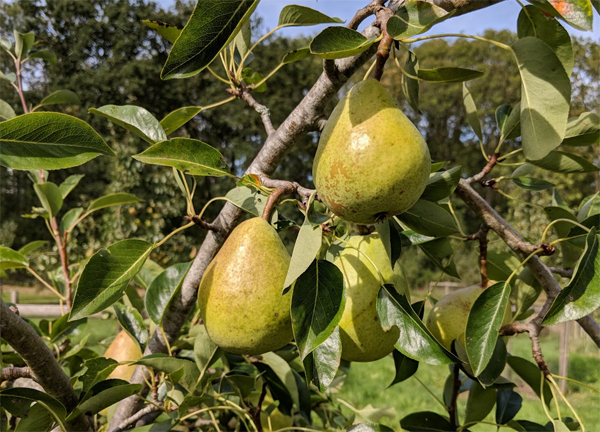 The Friends had picked some fruit from the orchard, both to show people the different types of apples and pears, but also so people could take some away with them for a small donation. A huge ‘Thank You’ goes to Dean Hardy and the other musicians for their entertainment and to all our other volunteers who helped set up and look after the stalls on the day. The event was supported by PPL PRS Charity and Community Discount Scheme. PPL PRS licences the use of copyright music across the UK, giving businesses and organisations the permission they need to play the music they want. The Friends next event is a Fungi Foray on Sunday October 21st, at 2pm in the main car park.